All Grandview homes currently listed for sale in Erie as of 04/22/2019 are shown below. You can change the search criteria at any time by pressing the 'Change Search' button below. 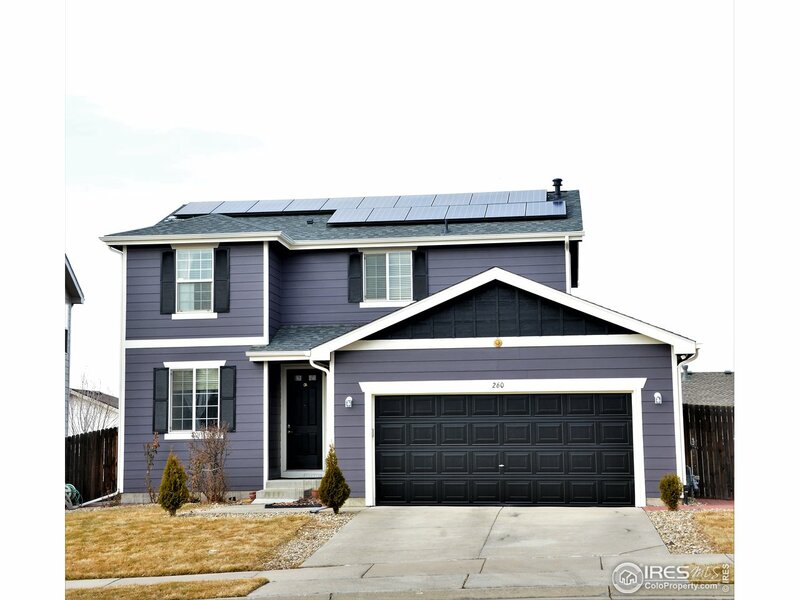 "Well maintained 3 bed 2.5 bath home that has a walkout basement & great views of the front range! The kitchen which features wood floors, SS appliances & ample cabinets/counter-top opens to a light & bright great room. Half bath & laundry rm on the main floor. Upstairs is an inviting master bedrm (5 PC bath & a walk in closet), loft, 3 more bedrms & a hall bath. Deck & private backyard. New Roof/Windows/Paint! Solar System is included & will be paid off at closing (virtually no electric bills)!"